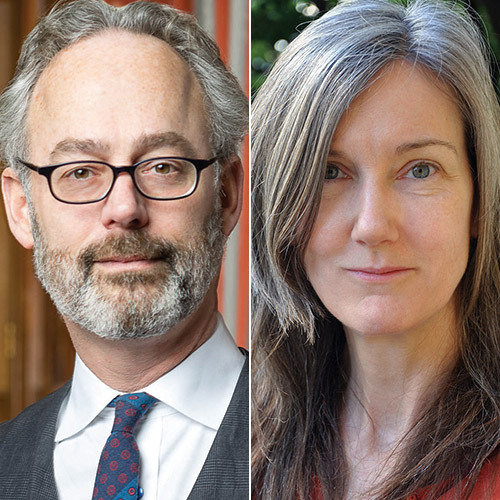 Tue, October 4, 2016 7:30 P.M.
Rules of Civility, a debut novel that “enchants on first reading and only improves on the second” (The Philadelphia Inquirer), marked Manhattan investment banker Amor Towles’s auspicious literary breakout. An elegant Fitzgerald-ian love letter to 1930s Manhattan high society, it was a New York Times bestseller, was one of Wall Street Journal’s 10 best works of fiction in 2011, and has been translated into 15 languages. In his highly anticipated follow-up, Towles tells the immersive story of an erudite and unrepentant Russian aristocrat living under house arrest in the aftermath of the Bolshevik revolution. “Strange, hilarious, and utterly captivating” (Harper’s Bazaar), Nell Zink’s out-of-nowhere debut novel The Wallcreeper— a tale of bird lovers, Europe, and eco-terrorism—was named one of the New York Times’ 100 notable books of 2014. A former worker in the construction, pharma, and software industries; the editor of a ‘90s indie zine about punk musicians and their pets; and currently a translator living and working in Germany, Zink’s 2015 novel Mislaid was longlisted for the National Book Award. In Nicotine, this postmodern polymath encapsulates the generational culture clash of Baby Boomers and Millennials.